Today is National Sibling Day. So, if you’ve not seen your kin for a while, you might want to think about getting in touch. But how does such a day relate to cars, you ask? Well, it’s more relevant than you might think. Despite differing appearances, the majority of cars you see out and about will share lots of parts – and even platforms – with other brands. This is a trend that’s set to get even more common as car makers move towards electrified drivetrains. It might help keep costs in check, but there’ll always be some that argue cars will lose individuality. But is that really the case? Here’s five pairs of very closely related cars available right now. Which ones would you pick? The latest Volkswagen Polo is an accomplished supermini that’s genuinely large enough to make it a viable compact family car. It’s never quite matched the Golf for popularity, but thanks to a impeccable quality, a decent drive and range of frugal, punchy engines, it’s a class leader in the segment. 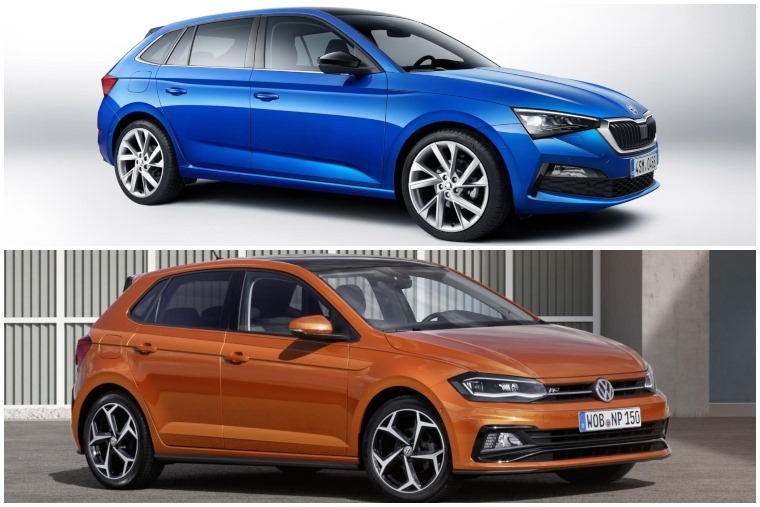 So what does it have in common with the recently launched Skoda Scala? The latter is larger, after all. Well, both are underpinned by the most compact version of VW Group’s massively successful MQB platform – the A0. That means it gets a simple rear-torsion beam rear suspension at the back rather than the independent set-up you get on the Golf. That works fine for a small car like a Polo, but in the Scala’s case it’s there purely to save money. Does that make it inherently bad? Not if you’re after a very reasonably priced family hatchback. In fact we’ve driven it already. Here’s our review in full. Unlike the GT86 and Subaru’s BRZ which were virtually identical twins, there’s more differentiation when it comes to Toyota’s latest collaboration. 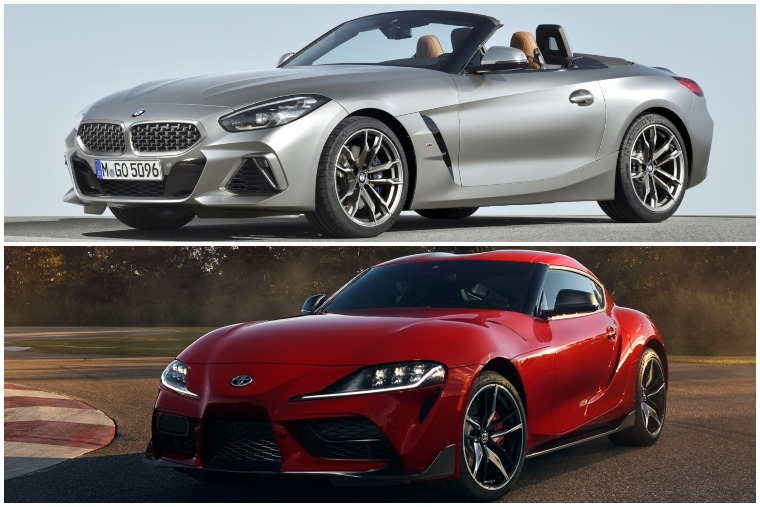 Yes, the eagerly awaited 2020 Supra is a sibling of… the BMW Z4. While the collaboration with Munich means their platforms are virtually identical, when it comes to execution, these two are very different creatures – and not just when it comes to appearance. Where the Z4 has been designed to offer a fun open-top experience, the Supra’s suspension has been significantly alternated to offer an edgier driving experience. To this end, the engines have been tuned differently too. The six-cylinder’s output of 335hp is shared, but the Supra offers slightly less torque. The Z4 will only be available as a Roadster too, as opposed to the Coupe-only Supra, meaning the latter should benefit from more torsional rigidity. Siblings they might be, but they go about things in their own way. Another example of platform sharing from VW Group now. 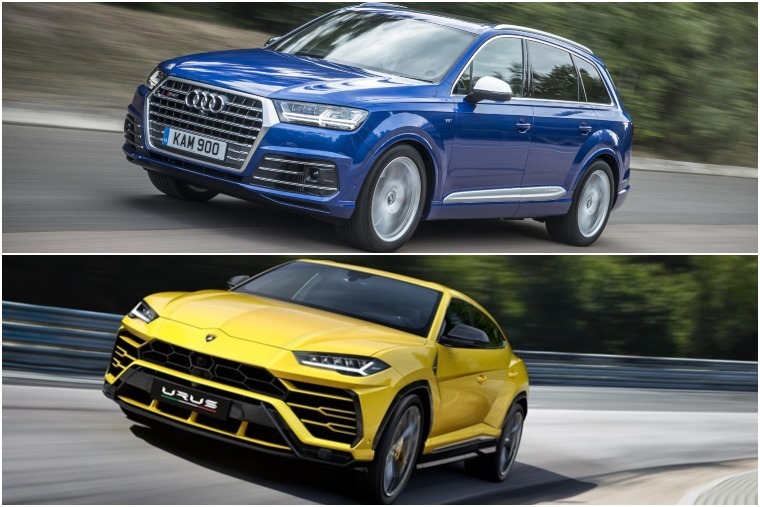 However much they don’t really want you to know that the £110k super SUV Urus shares its basic structure with the (within reason) humble 70k Audi, it is the truth. That’s not entirely fair though. You can’t get a Q7 with 650hp 4.0-litre V8, for instance. In the Urus’ case, it’s been tuned to develop 100hp more than the Cayenne Turbo, which happens to be another close relative. Extensive use of carbon fibre means it’s much lighter, too, helping it to achieve 0-62mph in just 3.6 seconds. It also happens to have the world’s largest set of carbon ceramic brake discs. Snazzy. That’s right. One’s a cutesy crossover that borrows its looks from the even cuter Fiat 500. The other is a rough-and-tumble chunky Jeep. But they’re the same car...underneath, at least. This pair are a fantastic example of how to make platform sharing work; it doesn’t necessarily mean they lose any personality. 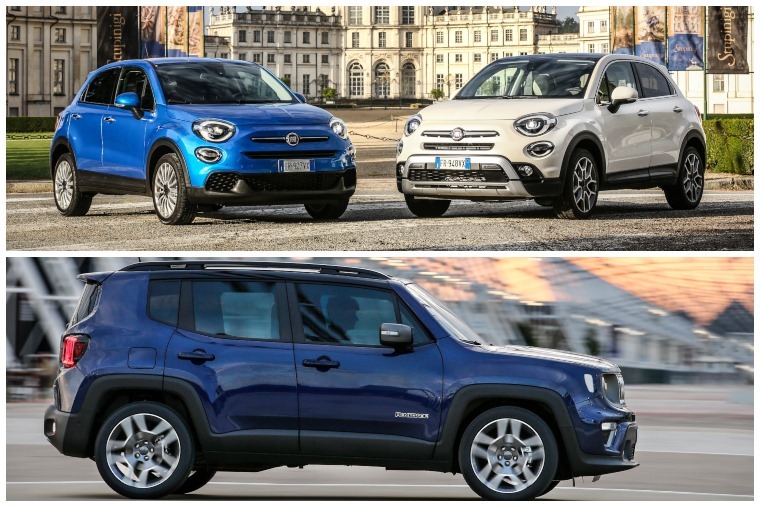 Both offer roomy cabins, although the box-like nature of the Renegade means there’s more headroom in the back if that’s a priority. Aside from that, it really is chalk and cheese. Which one you like the look up will come down to your own taste. Us? We’d take the Renegade. Peugeot shares lots of platforms with its French siblings Citroen and DS, and has done for years. However, with PSA Group’s acquisition of Vauxhall, it gained another. An English step brother, if you will. PSA’s market share is growing massively thanks to its dominance of the crossover market. The 2008, 3008 and 5008 all offer style, practicality and affordability. 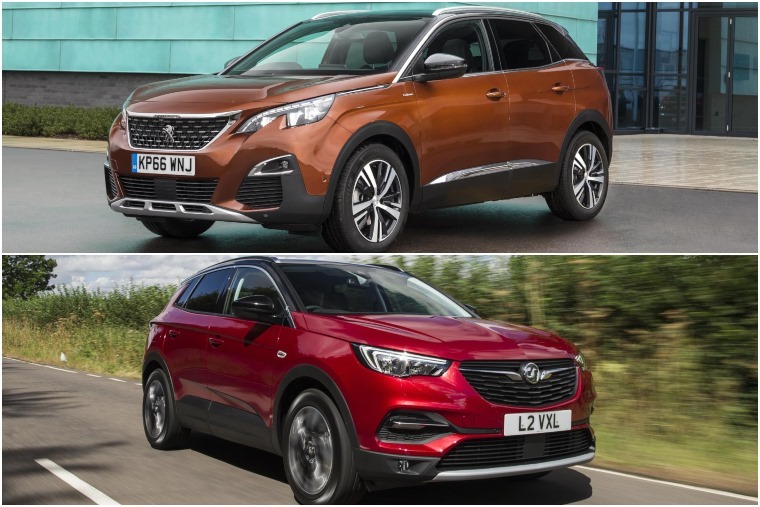 The Grandland X is essentially identical to the 3008 underneath, but does it have the tech-filled interior to match? Not really, if we’re honest. But that doesn’t automatically make it the wrong choice. Like so many similarly priced cars that share platforms, at the end of the day it will all come down to personal preference. Can you think of any other cars that share platforms? Let us know in the comments section below.